Balboa Park Animal Rescue Day, originally uploaded by Jim Lockwood. This was St. Patrick’s Day in Balboa Park, San Diego where many rescue clubs and groups were there to educate the public and let their presence be known. While people were not able to adopt pets that day, they could file applications for later. 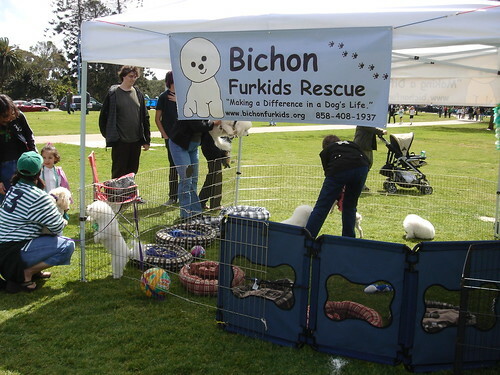 This booth is for Bichon Furkids Rescue. Alcala Pet Care highly recommends this rescue organization.